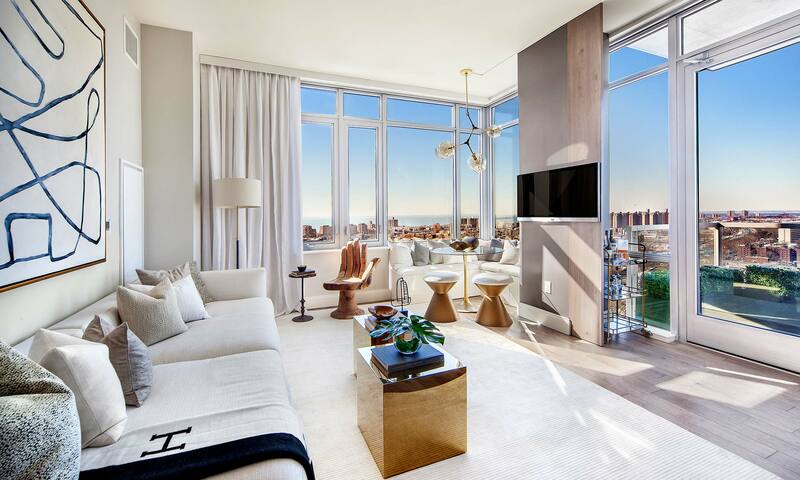 With ceiling heights of ten feet or more and sweeping floor-to-ceiling windows, airy living areas highlight endless ocean and city views. In most residences, living rooms extend to sizable outdoor areas with clear glass railings that create a sense of unity with the surrounding landscape. Engineered oak flooring gives interiors a warm, classic feel. All homes are prewired for the latest high-speed technology and include vented GE washers and dryers. Beautiful kitchens are crafted with custom Italian cabinetry from Italkraft, durable honed quartz countertops and a full-height glass tile backsplash. Sleek stainless steel appliances include a professional-grade Sub-Zero refrigerator and the Viking appliance suite including oven, stove, dishwasher and wine refrigerator. 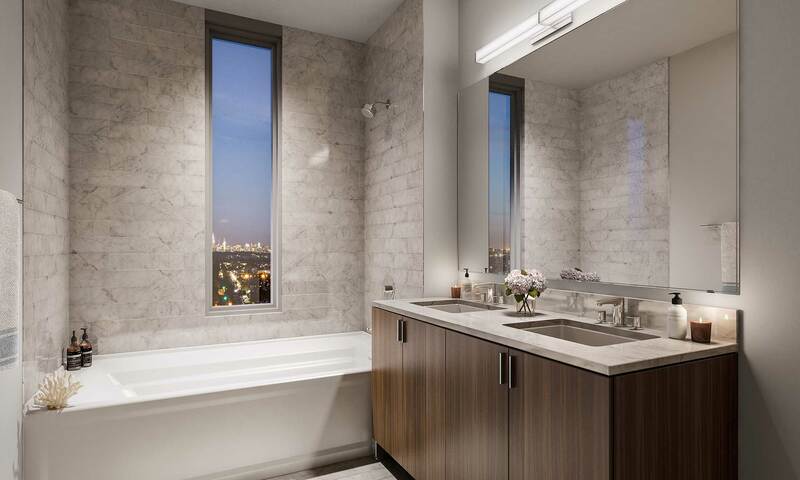 Pristine master baths exhibit a luxurious atmosphere with Carrara marble floors and tub surrounds. Custom Italian vanities feature Kohler sinks with Grohe hardware. Adjacent to the vanity, a mirrored medicine cabinet provides convenient storage for everyday necessities. 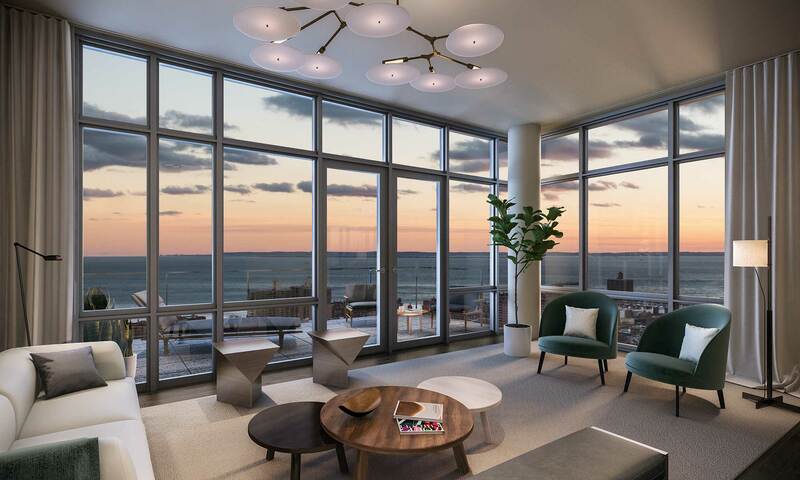 Three floors of penthouses sit atop 1 Brooklyn Bay, including two large three-bedroom homes with over 2,100 square feet of indoor and outdoor space on the 28th and 29th floors. 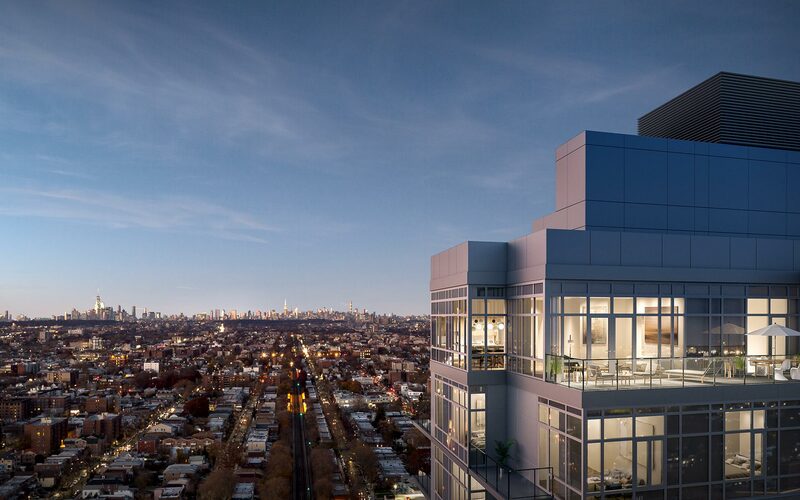 On the highest floor, two grand four-bedroom penthouses offer spectacular aerial views and over 2,800 square feet of indoor and outdoor space. 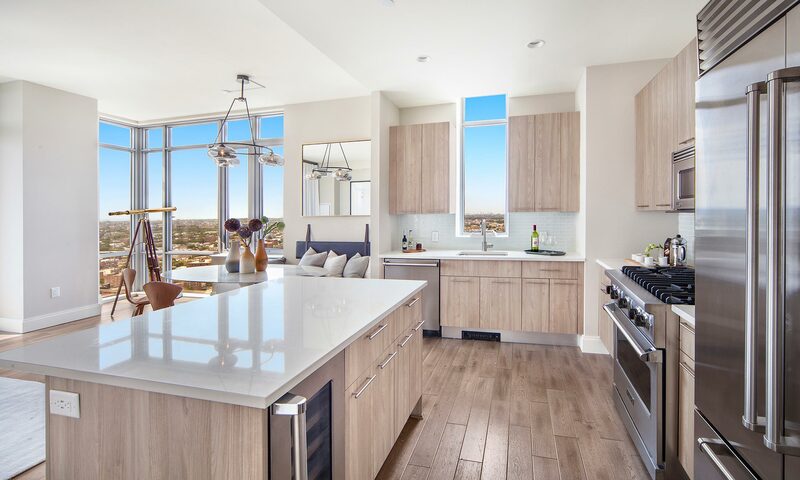 Penthouse kitchens feature a high-end stainless steel appliance suite that includes a Viking oven or double oven with hood, Sub-Zero 36” refrigerator and Viking wine cooler.